Mrs. Byrd is a Certified Diversity and Inclusion Professional in Human Resources with proven experience in D&I management, project management, change management, D&I Strategy, strong mediation, conflict resolution. She has demonstrated award-winning success in developing intentional diverse thinking teams. For the past twelve years, she has been highly sought after locally and nationally as a speaker, trainer, and consultant, based on her diversity and inclusion and community engagement expertise. As Manager of Diversity & Inclusion, at Conagra Brands (Omaha, NE) she was also responsible for implementing D&I strategies with current business process necessary for improving gaps related to becoming a more inclusive culture. Damita’s efforts influenced D&I training, College Recruiting efforts, Supplier Diversity efforts, Information Technology, Finance, Legal, Brand, Learning & Development, Analytics, Sales, MBU, Supply Chain, Human Resources, Marketing, and R&D business groups. Damita has led numerous community outreach efforts that included the Diversity Best Practice Day for corporate and community leaders, Omaha Diversity 365 D&I Boot Camp Training Day, and Diversity Best Practice Day for corporate and community leaders. Damita served as a committee member for the Multicultural Diversity & Inclusion Forum at the University of Saint Thomas, Minneapolis Minnesota. She also served as a member of the Conagra Foundation “Community Grant” selection committee and on the Conagra Brands Public Relations and Communication Committee. She partnered to revise the Omaha Chapter of the Mountain Plains Supplier Diversity Council. Her ability to create strategies was recognized, in the Fall 2015 Edition of Profiles In Diversity Journal a national publication, based on her work using HBDI and Diversity of Thinking with inclusive teams. Damita partnered with McDonalds Corporation’s Diversity & Inclusion division to share best practices aligning Employee Resource Networks. Damita was a co-leaders in partnering with Creighton University for the Conagra Corporate Explorer Camp for High School students in the Omaha, Council Bluffs area. Which then transition over to the University of Nebraska Omaha’s “Dream Big Academy.” The program helps to build a stronger diversity pipeline for youth in the community. Damita Lead the Conagra Brands Corporate Wide Mentoring Program. The program attracted over 3,100 employees in the first six months of the rollout. Damita received the CEO Award for her Leadership in 2012, it is one of the highest rated awards in the corporation category. Damita holds a Bachelor of Arts degree in Communication and Public Relations from Grambling State University (HBCU). 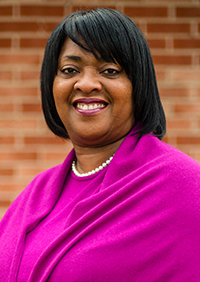 Damita Byrd is a proud member of Alpha Kappa Alpha Sorority, Incorporated and is a member of Salem Baptist Church, Omaha NE, where she resides with her Husband and son.